To speak the word yoni and sacred in the same sentence is still a revolutionary act. Most of us were not raised to know that our vaginas are sacred. That we can give thanks for her. We were not raised to know that she is a jewel filled with sparkling gems that can nourish our being. This old story is slowly dissipating as we we wash away our shame and choose new ways of relating to ourselves. This workshop is shaped by my unique alchemical tools. 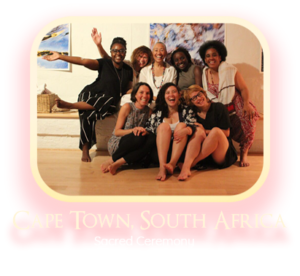 I merge practical, emotional and spiritual healing tools with gentle loving presence weaving a safe and sacred container where women feel encouraged to step closer to their most sacred temple. We water the self by being present to her. Listening to her and allowing what wants to be expressed. A range of creative processes supports your choice to release the old and to invite in the new. This watering of our inner land scape encourages new growth in our lives, where flowers of self respect, self worth and self love begin to bloom. This workshop has been successfully offered in South Africa, Egypt and the UK. And can be adapted to suit various groups, worldwide. Costs per person differ per group and country dependant on venue.